Tightwad: Want your kiddos to eat more fruit? 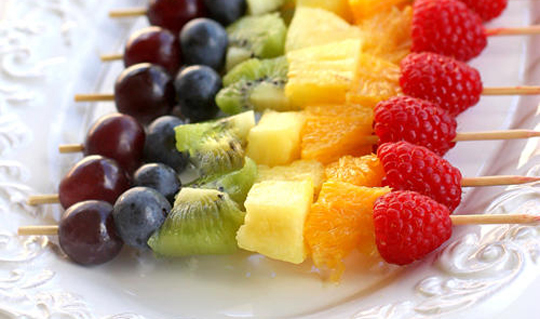 Want your kiddos to eat more fruit? How fun is this? Almost too pretty to eat... almost. Never mind that your kids will want to eat them, they'll also want to make them. I love this and if time permits would love to serve the fruit like this at Meagan's party. Fantastic idea!!! !